My first marriage didn’t end up so well. If you would like to read how I got out of an abusive relationship you can read my story here. Thankfully, I got out of that toxic relationship and met my soulmate. Unlike my first marriage, my husband is my best friend. My husband and I decided early on in our relationship that to make our marriage work we need to consistently work at and we needed to continue to “date” each other. I feel like this is SO important in our relationship. It keeps us connected and in love. Day in and day out we can forget to do the little things that keep a relationship strong. By watering your relationship with frequent dates, you stay connected to your partner and build a rock-solid foundation. If you’re like me and my man you’re trying to find something special to do. However, coming up with ideas isn’t always easy, especially if you’re on a tight budget. Coming up with different date ideas is not always easy. 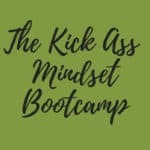 But I’ve come up with over 50+ date ideas that will not just encourage the connection between you and your spouse but it also will not break the bank. Often times couples forego date night because they believe they can’t afford it. Whether that be to pay for a babysitter, or the date itself, the bill for a date can add up pretty quickly. Luckily, these date ideas are either very cheap or free. Plus, some of them you can do after the kids go to bed if you really need to save money. However, I do suggest doing some dates out of the house to get away from the kids and the “normal” everyday stuff. 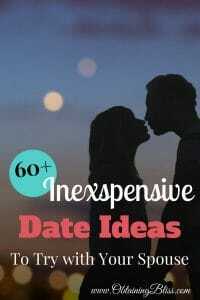 To get this awesome list of date ideas, just subscribe to get access to the Resource Library where the inexpensive date ideas are located. Sign up below! Let us know which date idea you plan on trying!